Bring dear family and friends together at the Bayview Together Farm! 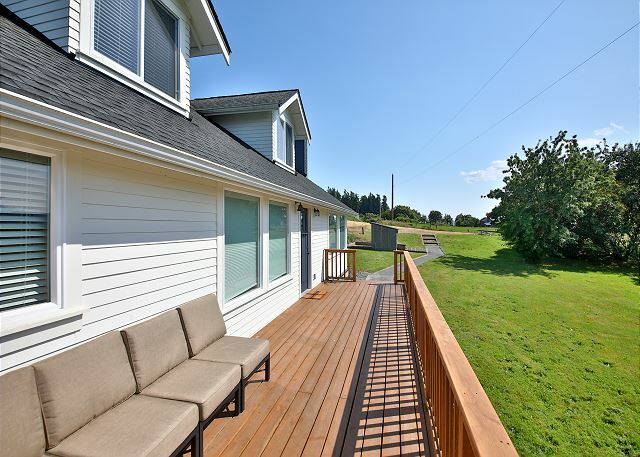 Tucked just back from quaint and lovely Bayview, this five-bedroom home features 360-degree views of vast pastures and of Double Bluff beach at Useless Bay. 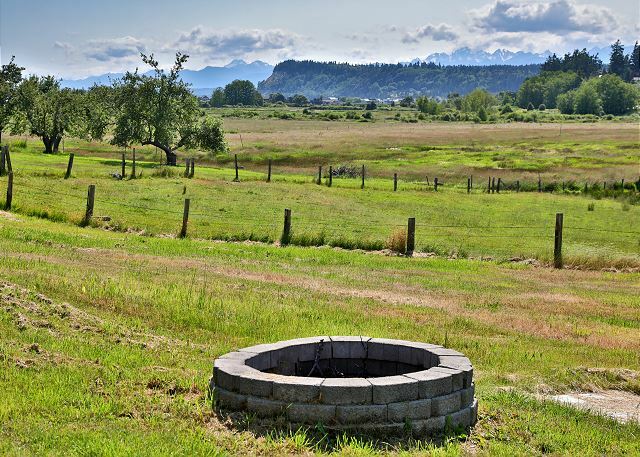 On a clear day, you may even be able to catch glimpses of the Olympic mountains. 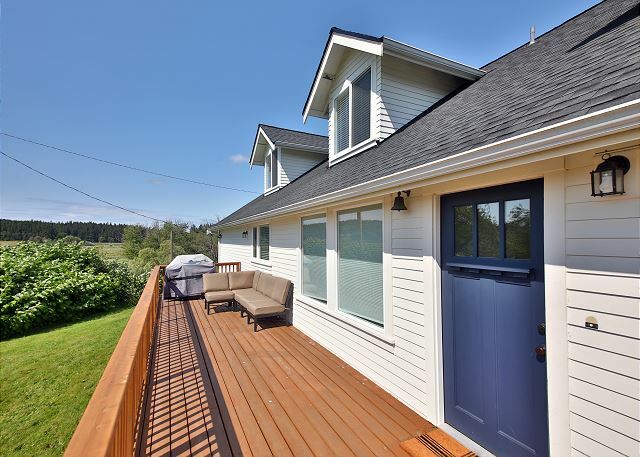 This home is centrally located to downtown Langley, downtown Freeland, and the Useless Bay golf course, and is only seven minutes from the beach—the perfect location for your next family getaway. 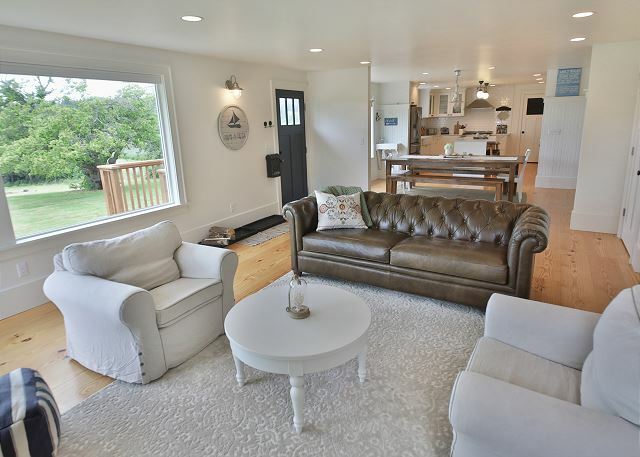 This seaside themed home flaunts a recently renovated modern farmhouse design. 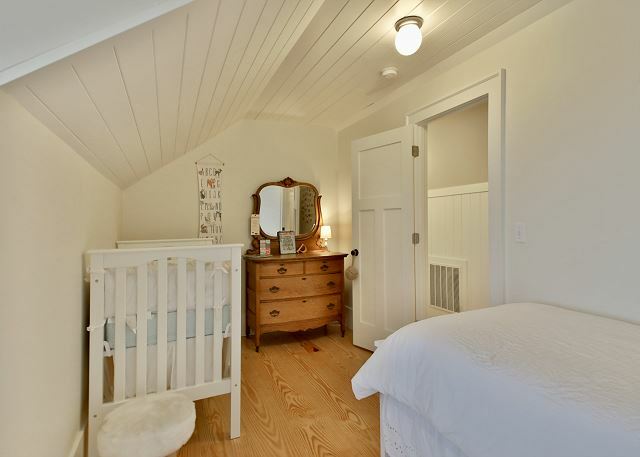 The house sleeps a maximum of fifteen people equipped with five bedrooms, two bathrooms, and even a crib for the little one. To accommodate even the largest of groups, a double kitchen resides just off of two spacious living areas (one featuring a piano! ), and two washers and two dryers are located near the tank that provides the home with on-demand hot water. The home showcases WiFi a Smart TV equipped with Netflix and YouTube to satisfy your entertainment needs. 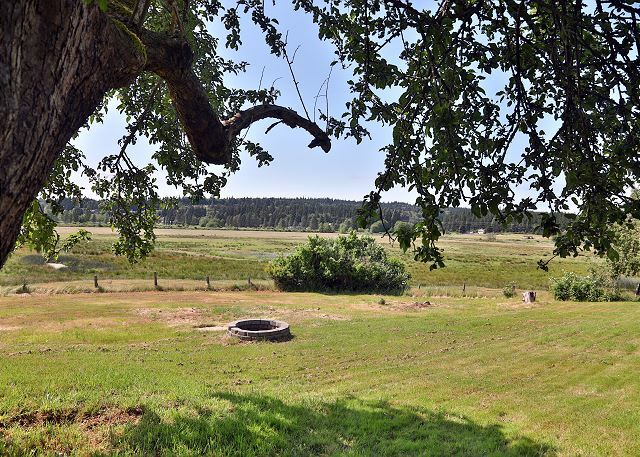 Enjoy the sounds of frogs and crickets at night and the call of cows in the morning. 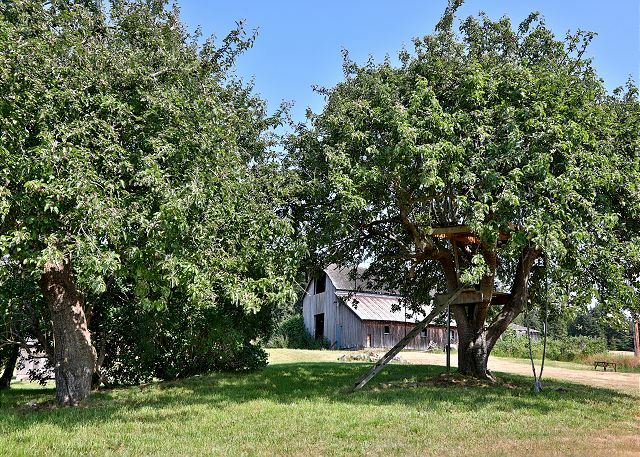 Walk around the seven apple trees on the property and listen for the hoot of the resident barn owl living in the barn (please do not enter the barn—it is not structurally sound). Take in the breathtaking views as you grill on the propane barbecue on the deck and lounge on the large outdoor sectional. Book now for your vacation at the Bayview Together Farm! The house was excellent, super beautiful and well kept. It slept everyone comfortably and the kitchen was incredible! We will be coming back! Thank you for your comments. 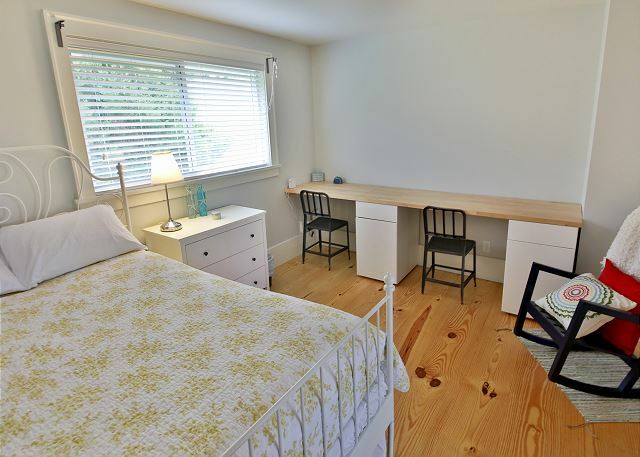 We are so happy that you had such an enjoyable stay on Whidbey Island. We hope we can help you with your next stay on the Island. 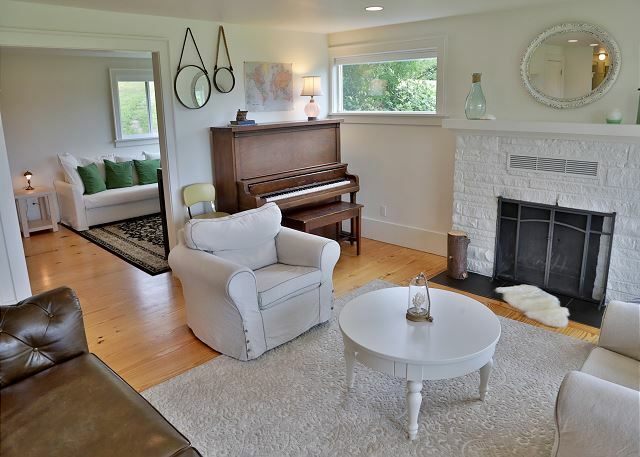 We were initially worried we would be too far from sites and attractions but this home was perfectly located to South and Central Whidbey. Easily accessible to Langley, Freeland, the Bayview Farmers Market, Joe's Pizza - just to name a few. The Goose Gourmet Market has excellent selection and reasonable prices for supplies and is close by. 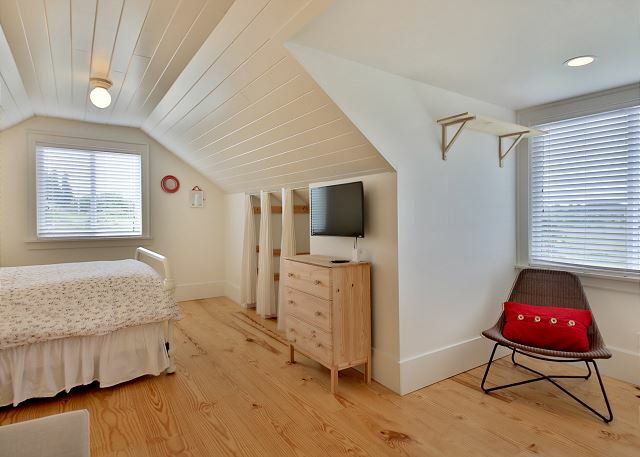 We loved the layout - three bedrooms up, with two twin beds in one room for the kids, one twin and a crib for in another and a master. 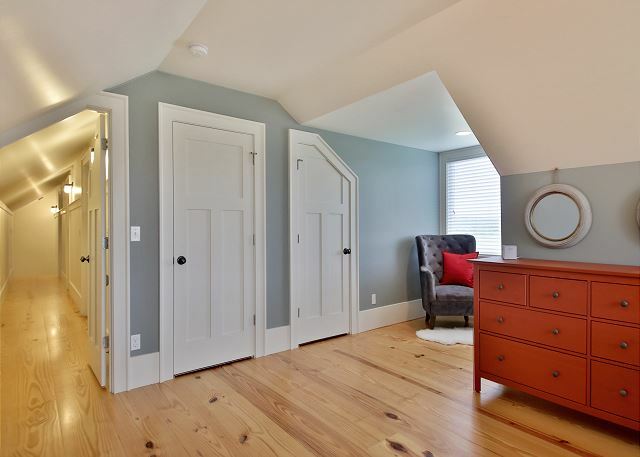 The fourth bedroom is on the main floor and was ideal for my mom who doesn't handle stairs well. The "fifth" bedroom is a pullout couch/exercise room with some dumbbells and an elliptical trainer. The finishes and design are to die for. We loved watching the cows come home nightly and gazing out over the fields from the ample bay windows. Our kids loved tearing around the property, the fire ring, climbing the apple trees. A truly memorable stay. We will be back! Thank you for your comments. We are happy that your stay was "perfectly located" and "loved watching the cows" and "loved" the kids "tearing around the property"! We are glad it was "a truly memorable stay" on the Island. We hope we can help you with your next stay on the Island. 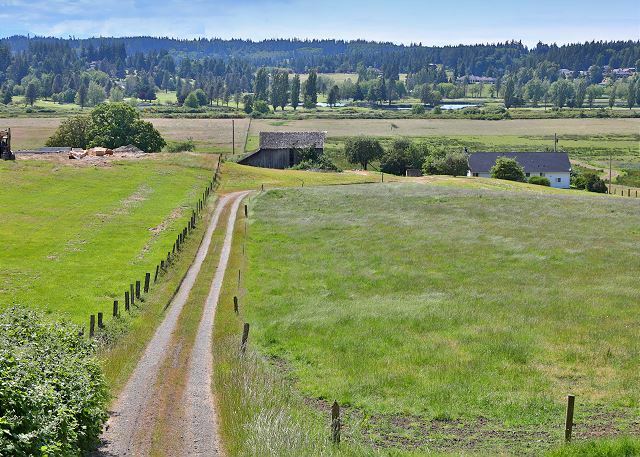 It was a beautiful rural setting, the house is well laid out, with a nice open-floor plan. The kitchen, laundry, and bedroom set-up is well-planned for a large group. We would absolutely stay here again! Thank you for your comments. We car happy you had a great stay on Whidbey Island. Let us know when you are planning to come back to the Island so we can helpl with your next stay. This was the most beautiful home to stay in. Get up in the morning and see the beauty of the bay as you drink your cup of Coffee. It was so relaxing and large enough for our whole family to be together in one house. Loved it! Thank you for your comments. 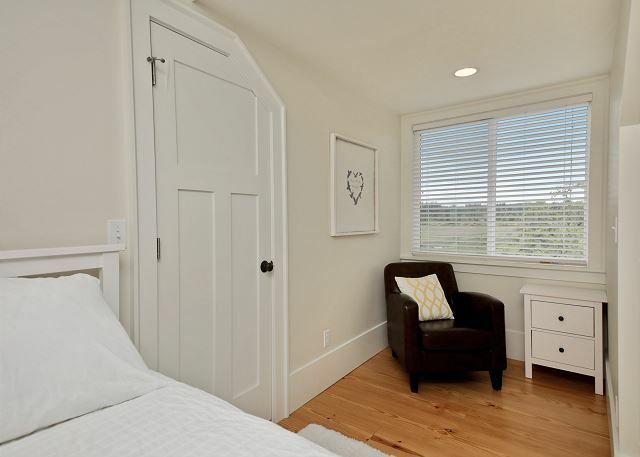 We are so happy that this was the most "beautiful home" to stay in and you "loved" your stay on Whidbey Island. Please let us know how we can help you with your next stay on the Island. Waking up to crisp clean air, and beautiful sunrises as we looked out over lush green pastures to see the majestic mountains in the distance was such a wonderful treat each morning. 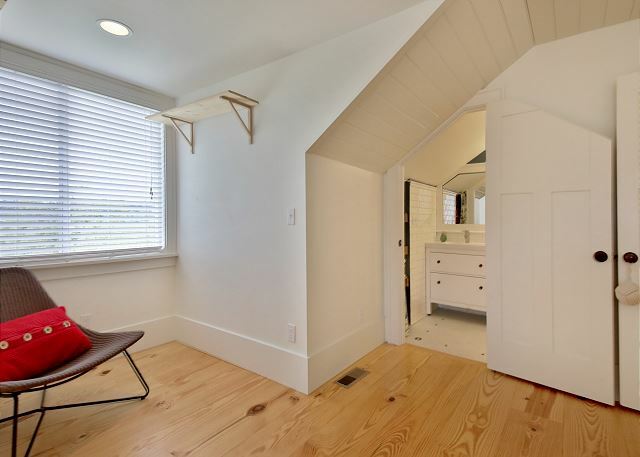 The house was clean, and very simple, yet had a warm homey feeling from the moment we walked through the door. The house has 5 bedrooms which are situated so that everyone had their own space, but we could gather together in the spacious kitchen, living area, and the deck. The yard is well-maintained and the kids could run around freely and enjoy the outdoors. It was fun to see some wildlife like rabbits, and squirrels roaming around in the yard. The kosher double kitchen was great, since we had many different diets to consider within our family. The laundry facility was a great bonus since we were staying for over a week. If you're looking for a great vacation farmhouse, this is it. I can't wait to stay there again. Thank you for your comments. We are happy you had such an exciting and enjoyable stay on Whidbey Island. We hope we can help you with your next stay on the Island.